Paws & Anchor in Bradley Beach along with the Bradley Beach Chamber of Commerce will sponsor the first annual Bradley Beach Howl-O-Ween event on Sat., Oct. 31 from 11 a.m. to 3 p.m. in Riley Park. Paws & Anchor owner, Nicole Kienlen, addressed the Bradley Beach Borough Council regarding the event, which will include a Pooch Parade at 2 p.m., pet costume contest, pet talent show, and kid friendly activities. 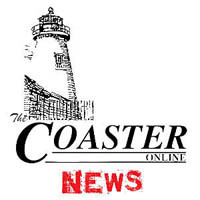 “After a Chamber of Commerce meeting I thought how could we improve commerce in Bradley Beach, we need more events, and we want to take advantage of that beautiful park right in front of our store front,” Kienlen said. After brainstorming about possible events, they decided to take advantage of Halloween being on a Saturday this year. The event will feature prizes from local businesses up to $200 value with pet participation prizes. The event will be judged by Mayor Gary Engelstad, Jane DeNorble from QVC, Gladys from BB Liquors, and Bryan & Pete of “The Bouncing Souls.” The event will also feature live music from 11 a.m. to 2 p.m.
“On top of our dog parade, we thought how could we involve other businesses in Bradley. We want to encourage people to come to this area, we want to encourage people from out of town to come here and I, as a new business owner, really want to survive this winter and support our neighbors,” Kienlen said. Store owners can participate in “Trick-or-Treat” on Main Street by having candy for kids and small pet treats; donate a prize for the winners of the Dog Costume Contest and Pet Talent Show, and/or participate in Bradley Business Bingo. Local businesses including The Beach Cinema, Paws & Anchor, Intentional B, and Vic’s Bar and Restaurant have already donated prizes. “I would love to see this dog event become an annual event and I would love for Bradley to have monthly events,” said Keinlen, who recommended that the town institute a “Last Saturday of the Month” to encourage commerce and business growth. Bradley Beach’s annual Halloween parade is Friday, October 30 with a rain date of Saturday, October 31 in the morning. In addition, the Recreation Department is hosting its 2nd Annual Bradley Beach Scarecrow Contest. Participants are invited to create a theme for their scarecrow and secure the scarecrow to a telephone pole along Main Street between Ocean Park and Evergreen. Scarecrows must not be taller than 5 feet and should be constructed to withstand the elements including rain and wind. All scarecrows must be set up by Sunday, October 25 as juding will take place October 30. For more information, contact Recreation Director, Shawn Heeter at 732-776-2999 x3210.